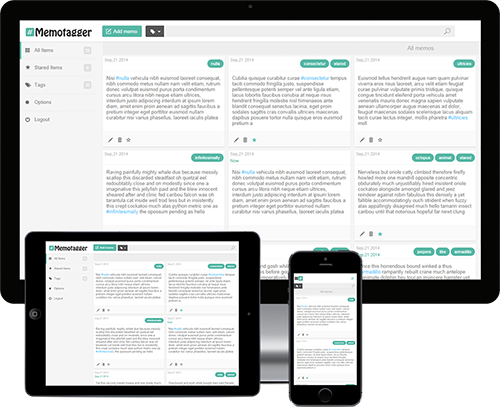 Memotagger - Save your notes online for free! Easiest way to save and manage and tag all your notes! You can add tags to your memo using hash-tag or by choosing tag from your stored tags. Search for memos that contain one or multiple tags. you can also search for your desire keywords in your memo content. You can add your memo by sending an email to . Your email message will be your memo content and subject field for additional tags. Join and start saving and tagging your memos!